This was going to be a complete walkthrough guide for the iOS and Android puzzle game, PAPER Anne, by UsFun Games. But on the third level, I encountered the same game-breaking bug multiple times, and I don’t think I’m going to get far with it unless it’s fixed up. It’s super buggy, so I don’t recommend it at the moment. You can see what I mean in the short clip below. But I’m going to take this time to write up my thoughts on the game from what I’ve managed to get through so far — which isn’t much. PAPER Anne reminds me a lot of Old Man’s Journey. But instead of shaping the landscape, you’re sliding pieces of it around. They can also wrap around to the other side of the screen, so if you split a platform by dragging it so its middle hits the right edge of the screen, you can continue walking over it and come out from the left edge of the screen. It makes for some interesting puzzles, and I really like the whole concept. It may look like a kid’s game, but the puzzles will make you think. Unlike Old Man’s Journey, though, there is a fail state. The Queen’s card soldiers will kill Anne if she gets within their line of sight. The Kings stay in place only attack if you get right in front of them. But the Jacks pace back and forth on a platform and will attack you if you walk onto their side of the platform — even if their back is turned to you! So there is a timed element to the game, even as early on as the second level. It means it’s a more stressful game than Old Man’s Journey. But I was getting used to that and even enjoying it. The third level introduces potions that shrink you and cakes that enlarge you, since we’re in Alice’s Wonderland in the first chapter. I really liked where this was going, as I needed to make myself bigger to get past a cowardly guard, then shrink myself down again to get through a tiny door. This is just the kind of stuff I like to see in my puzzle games. And then I got stuck on a moving platform. It was supposed to lift me up, but instead it got stuck in place. I restarted the stage and approached that part differently to try and avoid that bug, and it worked. But then on my third time playing it, it got stuck again. On top of that, the game’s pathfinding ability is not so great. Like Old Man’s Journey, the idea is that you create a path for Anne and then tap where you want to go and she’ll go there automatically. But if you’re not standing in just the right spot when you tap on a higher platform, Anne will just ignore you and stay put. Or walk straight ahead, right into danger. The controls are too finicky, and to hit game-breaking bugs on top of it, I just lost interest. And that’s not all. Each level is broken up into multiple stages. If you take a break between stages instead of completing a whole level in one sitting, you’ll have to start from the first stage again next time you open the app. It doesn’t save your spot between stages. It also doesn’t have auto-rotate, so your device is stuck with the Home button on the right. And last, there’s no iCloud sync, which is a real shame since it’s better on a big screen but still doable on a small one. Overall, I’m disappointed that such good ideas are hampered by clumsy mechanics and game-breaking bugs. The game allows the player a lot of freedom to mess around with things, but it’s no fun if doing so can break it. I would love to see the game polished up so I can give it another chance, but I can’t even find a website or support email to contact them. 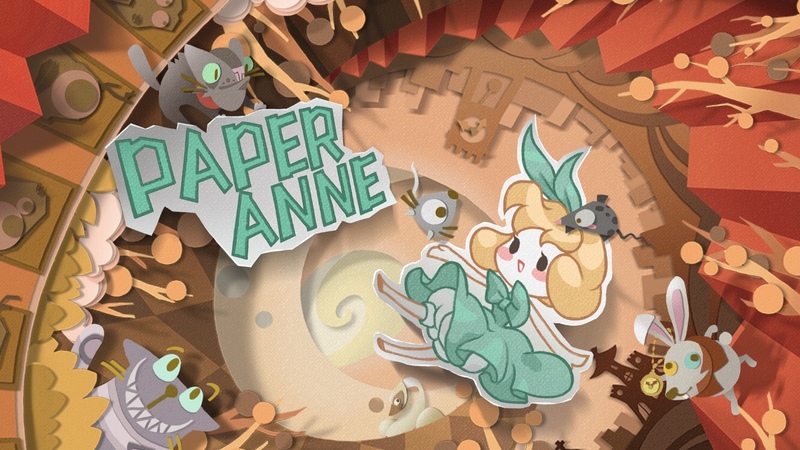 So I can’t recommend PAPER Anne in its current state unless you have a lot of patience and are willing to work around its issues. I was able to find a way around the bug. But level 2-4 of the Ugly Duckling story seems to have absolutely no goal or means of understanding what you’re supposed to do to pass the level. It’s literally just wondering around. There’s no door, there’s no character conversation other than the weird wizard that shows up occasionally to give some cryptic message. I don’t understand. I lost interest on 1-4 when I couldn’t figure out how to not get killed by the King card. Suddenly he attacks from both sides when before it was only from one side? I think you need to shrink to make the platform move, it’s a part of the puzzle, not a bug, I believe.